1. The Dashboard itself provides 4 interactive reports including Pages Crawled, Pages Indexed, Impressions & Clicks and Pages with Crawl Errors. These cover roughly the past 5 weeks from today. They are interactive and you can place your cursor on any point in the time line to see that days date and data. 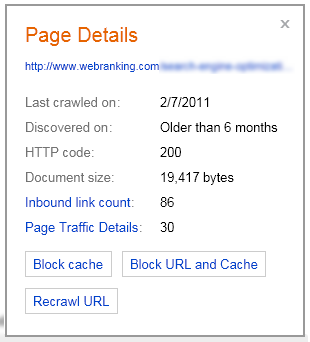 Google Webmaster Tools does not have this type of charting on their dashboard, which is a feature that most people probably would expect from a dashboard. An even more valuable feature of the dashboard is the Export Crawl, Index and Traffic Stats link on the right side above the charts. This link will export a CVS file with daily breakdown of your site’s Pages Crawled, Pages with Crawl Errors, Pages Indexed, Impressions, Clicks and Links. Yep, daily. The report I exported is showing stats from 1/2/2010 through 3/2/2011. That is more than a year of historical data. This is pretty cool for people like me whom love data and gives us the ability to spot trends over longer periods of time. As a comparison, GWT only provides 5 weeks of available search query history, 90 days of crawl stats and 6 months of Site performance for load time. 2. Another great feature is the Index Explorer tool that lets you look through the files on your site in a file directory tree structure as the files would appear on a computer or web server. You can navigate to a page you want to know more about then click the URL to get a Page Details popup that contains some data that Bing has on that URL. There are even links for Inbound Link Count and Page Traffic Count that will pull up even more URL specific data. There are even options of Block Cache and Block URL and Cache to take immediate action to have URL data removed from Bing’s index, as well as a Recrawl URL option if you notice that Bing has not spidered that particular page in a while. 3. 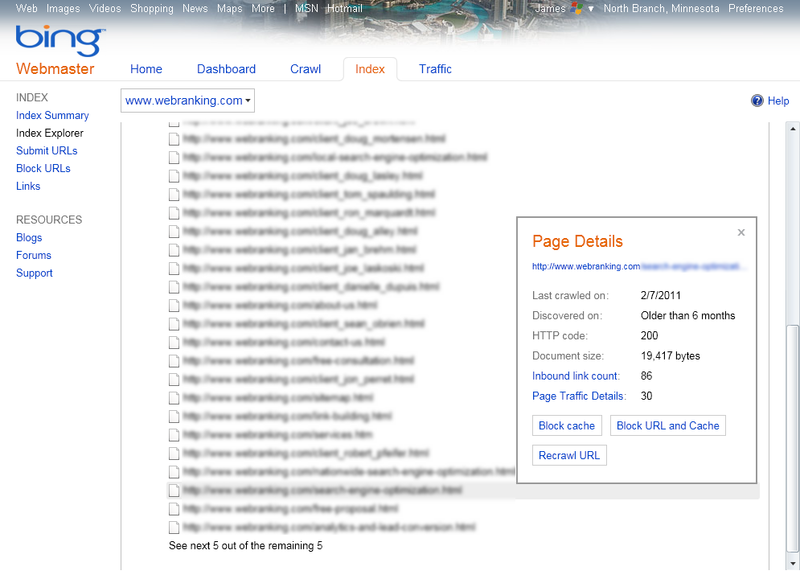 The Third, and maybe best feature that I found was the Inbound Links report in the Index section. Similar to GWT, this report will show you your URLs and link counts, and then when you click on the URL it will also display the Source URL. However Bing provides an additional, and valuable data point: Anchor Text. Oh, Google will show you anchor text, but not specifically for each page! Another feature that makes this even better is that there is a link that allows you to export and download a CVS file containing link data on Target page, Source URL and Anchor Text for every URL that Bing has listed. 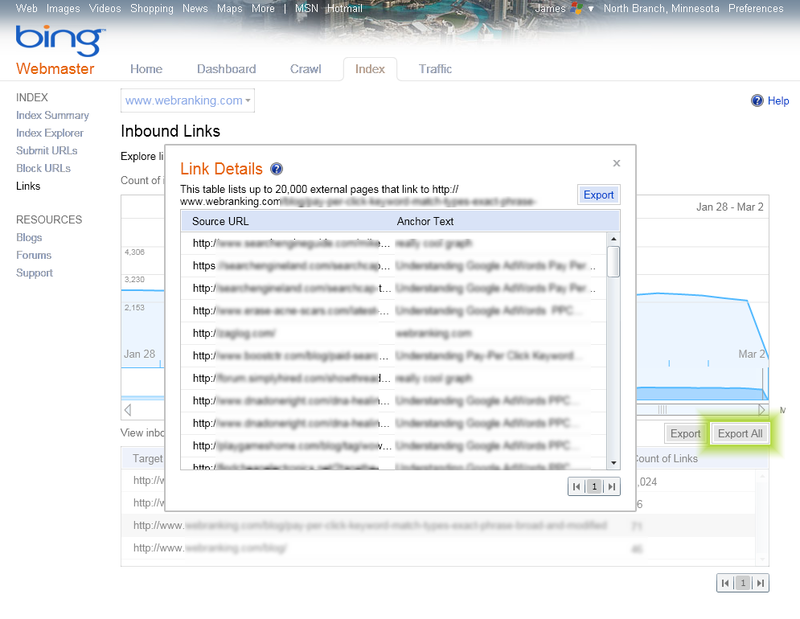 This is very valuable for link builders who like to identify the inbound links with link text that a site currently has, and track new links found moving forward. 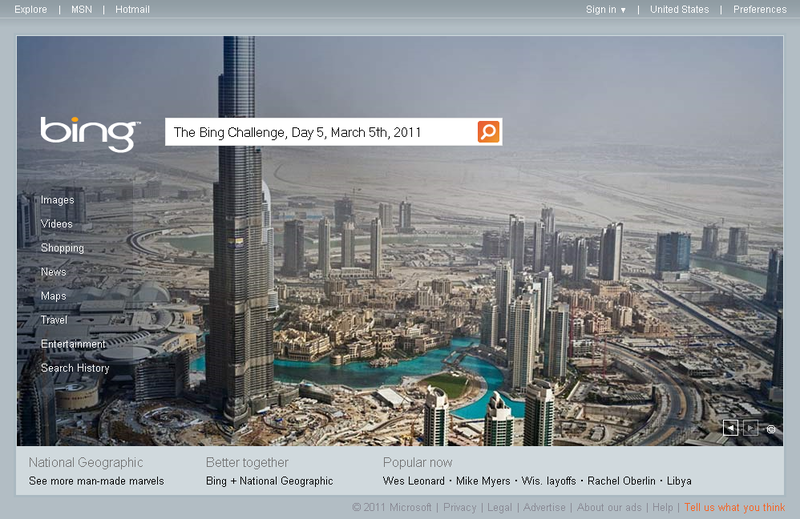 What do you think of Bing’s Webmaster Tools features? Feel free to leave a comment.